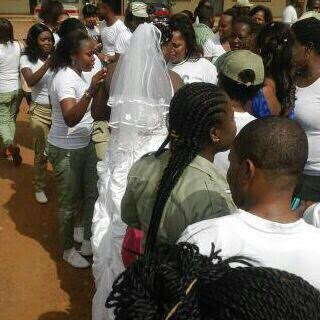 Today was headcount for all Corpers in Nigeria. 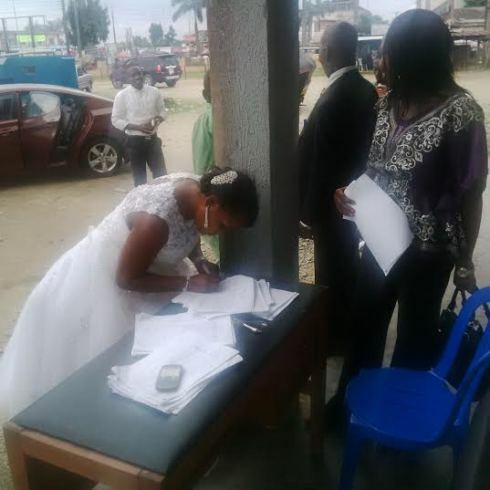 A corp member came in her wedding dress to sign. I guess to her the wedding can wait...lol. See another photo after the cut..